One of the best things about real time fleet tracking is that it enables fleet managers to work hand in hand with their drivers and other mobile employees, even when they are thousands of miles apart. Every day there so many unforeseen circumstances arise, resulting in the need for last minute changes. So having a real time two-way communications system between fleet manager and commercial vehicle drivers is critical to a running an efficient fleet. Taking into account things like traffic jams, accidents, unpredictable weather conditions, delivery instructions, last minute pick-ups, and employee issues is an important part for a successful person managing fleet vehicles and drivers. Commercial vehicle tracking facilitates instant and accurate responses to ensure that the best solution can be deployed with the least amount of time or costs. An average day someone overseeing a mobile workforce can involve matching busy schedules with the nearest available resources or service personnel to a new or changed location. Without a fleet management system, a telephone can be used to stay abreast of the constant changes, and to communicate with mobile employees. But a vehicle tracking device is by far superior to using a telephone to communicate – even if you have a smartphone with SMS text messaging, email and GPS navigation. The bottom line is a telephone no matter how smart it is, just doesn’t compare to a vehicle tracking solution. Mobile workforce tracking is a proven asset in streamlining everyday work operations for both employer and driver. 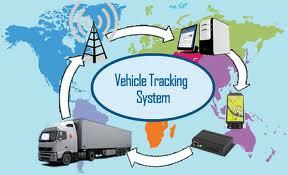 With today’s sophisticated yet easy to use fleet tracking devices, drivers have embraced the telematics equipment. Not only does it help make a fleet managers job easier, but drivers have come to realize that modern vehicle tracking systems can significantly improve their daily work lives.